When the Lilly Ledbetter Fair Pay Act was signed into law nine years ago by then President Obama, it finally restored the right for women to sue employers over pay discrimination. On the 9th anniversary of the #LillyLedbetter Fair Pay Act being signed into law, I reaffirm the @MachinistsUnion‘s fight against pay discrimination. I am blessed to know so many strong women leading the charge for #EqualPay. Ledbetter’s crusade against her employer Goodyear began in 1998, when she learned that, although she had been recognized as a “top performer,” she had been making far less than her male colleagues for the entirety of her employment at the company. She never received any compensation for the discrimination she faced, but she fought to make sure that other women would not have to work under similar circumstances. 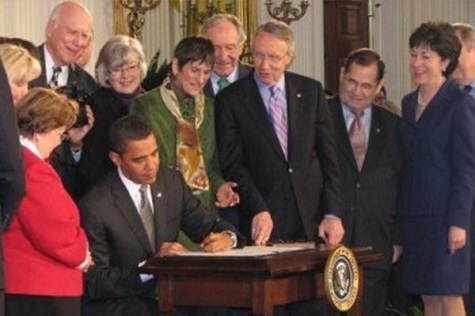 In 2009, the Ledbetter Act became the first piece of legislation President Obama would sign. Even with this major step towards workplace justice, the fight is far from over. On average women currently earn 80 cents on the dollar compared to men. Women of color suffer even more with African American women making only 63 cents. Native American women make 59 cents, while Latinas make 54 cents. The Machinists Union, the AFL-CIO and other labor organizations, are dedicated to putting an end to this widespread institutional injustice. Learn more about The Lilly Ledbetter Fair Pay Act.